When I saw the opportunity to try out Crown Brushes HD Set of brushes, I jumped on the chance. I've been wanting to try their products for a quite a while now and until I start my job in January, my spending is kind of null except for gifts and what not. I'm so grateful that I was given the opportunity to try these out! 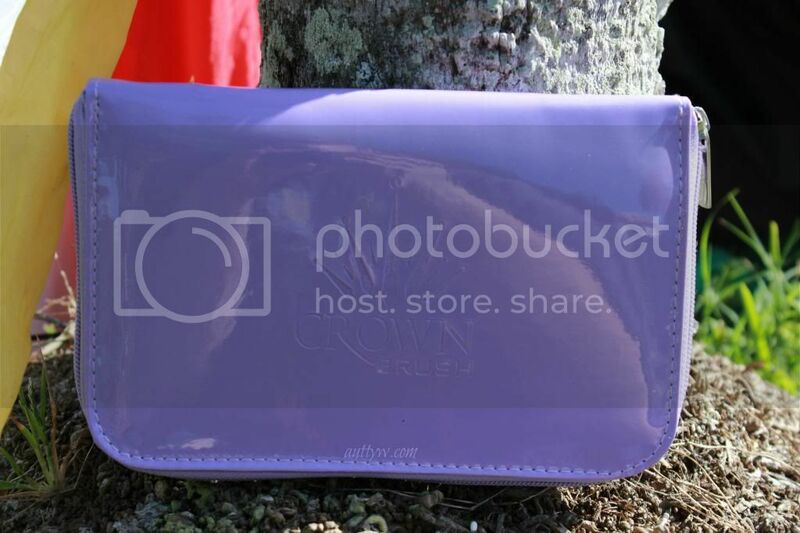 I LOVE the color of this case, it's such a nice shade of lavender. The set also comes in Orange/White and White/Blue. I really like this case, it's vinyl so it is VERY easy to just wipe clean if you spill something on it, or it gets dirty with makeup. The inside is the same way, so this is very good for daily and travel use. I really like this crease brush! I found the density of it to be perfect for me. If you have small lids though, this is probably a brush you won't like because it is a little big. I didn't have any issues at all with this brush and I don't really have any complaints! Weight wise, it's the same, it's not heavy at all, and for size comparison, it's practically the same height of the ELF Blending Eye Brush. The bristles are longer on the Crown brush one though, but just for reference they're the same height wise. This brush in my opinion is the most useless out of the bunch. 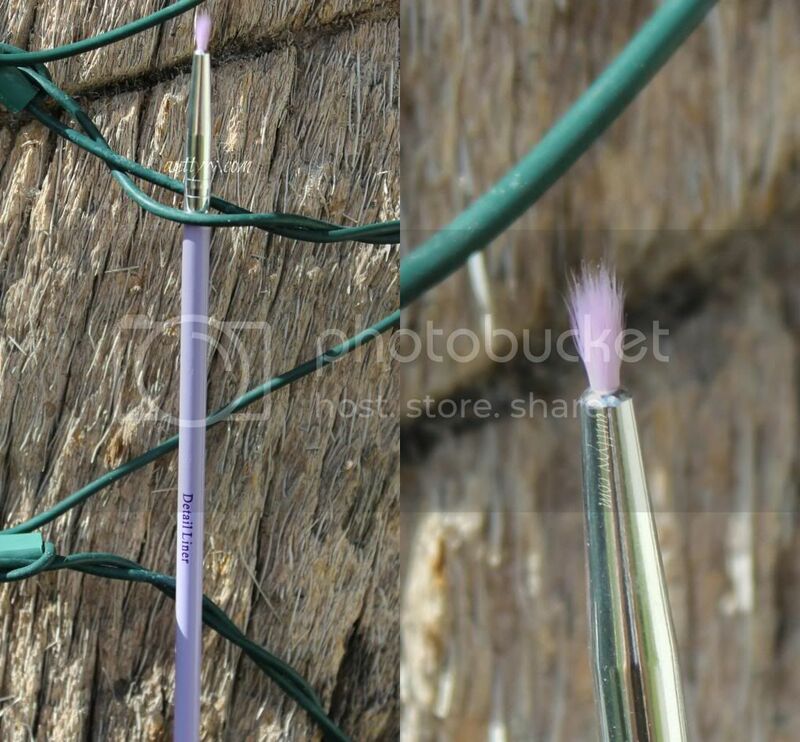 Maybe it's just me, but I have difficulty using liner brushes that are like this. Maybe if the bristles were more dense and not splayed out I could have given it a shot, but it's a bit too wide and I'd have panda eyes in a heartbeat. Size reference : The handle longer than the Real Techniques Pixel-Point Eyeliner Brush. 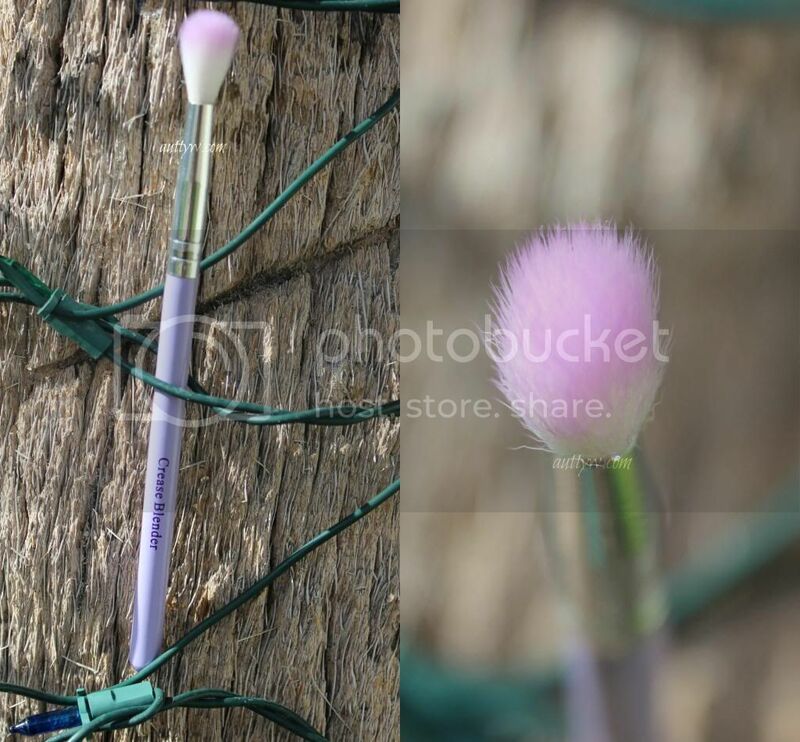 This brush is actually the PERFECT size for getting a good contour for me! Once I lose some face chunk I'll have to show y'all my cheek bones. But I can get a really decent and precise contour with this. It doesn't pick up too much or too little powder. It also blends out extremely well, of course with anything you can over blend, so just be careful. 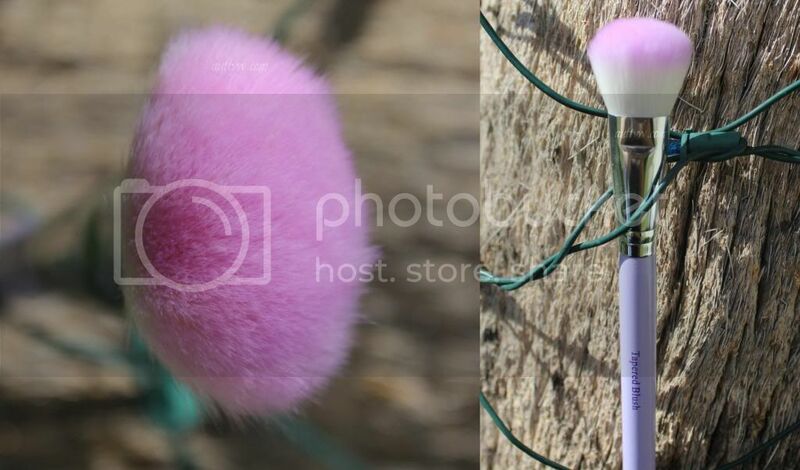 This brush is the perfect density as well for doing contours, you could also use this for blush if that blows your skirt up! Size wise. It's the EXACT length of the Real Techniques Contour brush. You know when something just doesn't wow you that you can't remember how it preformed? 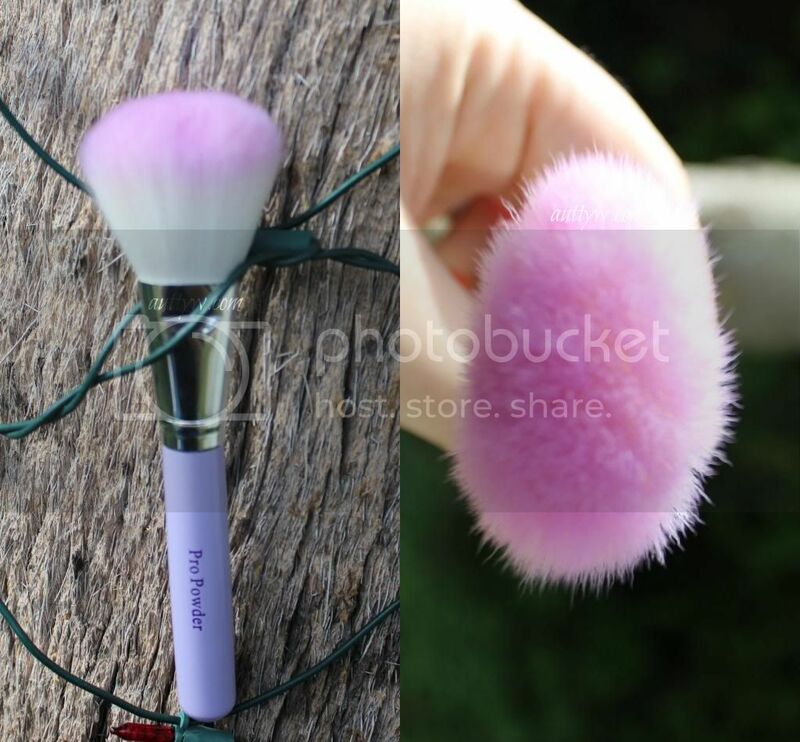 I don't find this brush any different then the other brushes that I use for powder. It's got a nice density and it picks up powder pretty well. That's all I really have to say about it. It performs just like my other brushes. It applies the right amount of powder but it doesn't pick up enough to make you look cakey. 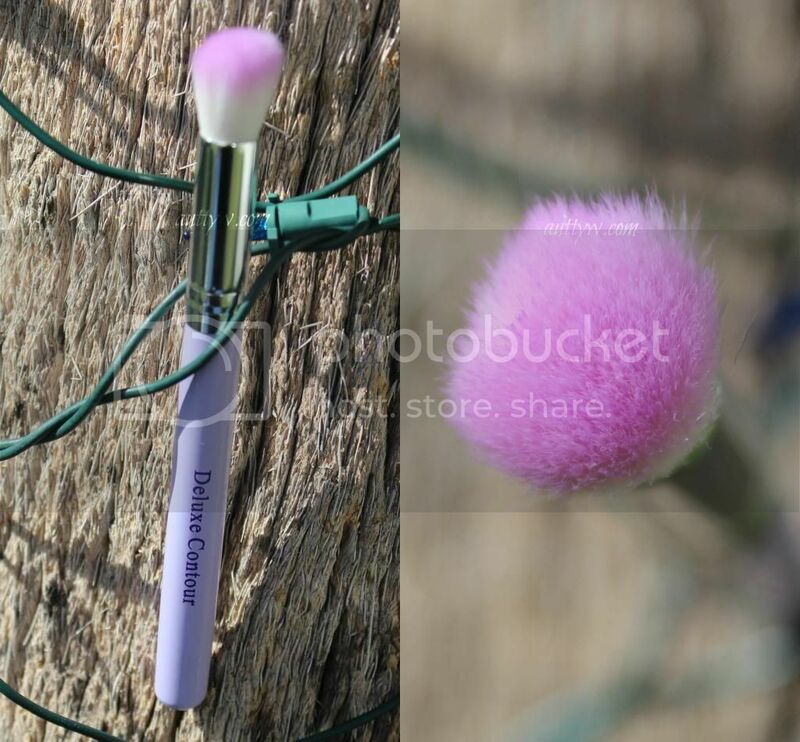 Size wise, it's slightly taller than the ELF Complexion &Powder Brush and it's slightly shorter than the Real Techniques Blush Brush (which I use for powder). The handle itself it kind of thick, think of a China Glaze bottle top, it can be a bit uncomfortable to hold after a while. 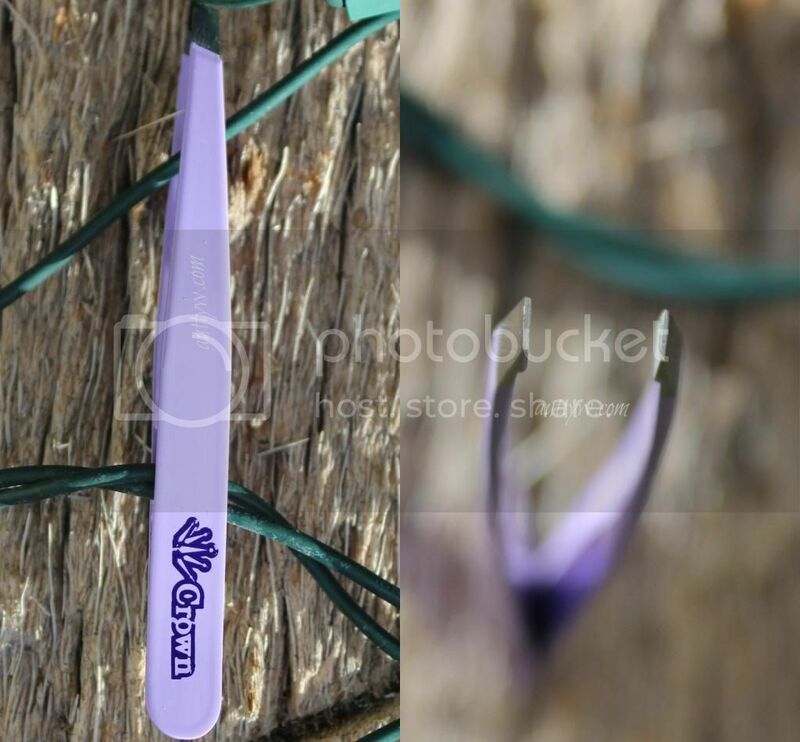 This is my second pair of Crown Brush Tweezers, the first pair I got at the makeup show and those I was not impressed. THESE however are awesome! A little too sharp, but they will dull down a little with some use (or just convince your husband to let you pull a few hairs from his beard muhahaha) and you will be good! I really like these tweezers and I am so so glad that I have them! They're cute and I wont lose them like I've lost every other pair I have. Seriously tweezers should have built in beepers so you can find them. All in all, I really enjoyed this set. 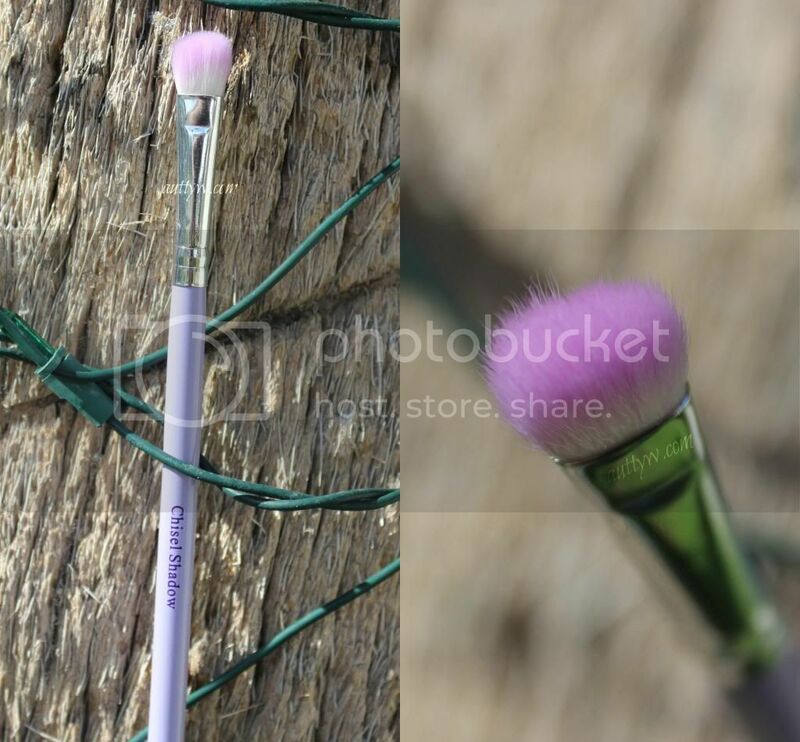 The brushes are all high quality brushes, they're soft, easy to use and pretty to look at. My only real qualm with the set is the case. The individual slots for the brushes could be sewn tighter. 3 out of the 6 brushes fall out easily if you're not careful. You can tell in the picture that the spots aren't really tight. That's my only issue with the case in a whole. The mirror is a really nice size and if you don't want to use it in the case, it slides out easily and you can slide it back in when you're done. 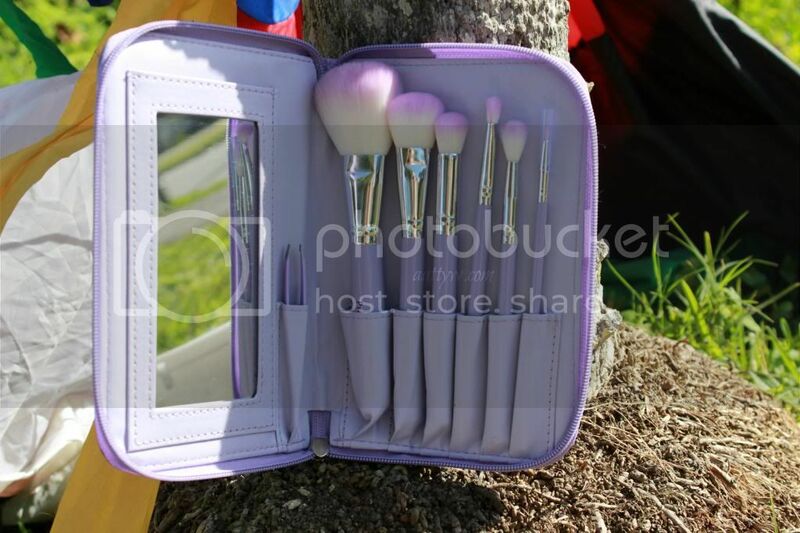 The HD Set w/ Mirror & Tweezers retails for $27.95 and is a complete STEAL for what you get. You can purchase them HERE on Crown Brush's website. Disclaimer: I am not affiliated with Crown Brush or iFabbo. The only compensation is to keep the product. All opinions are 100% my own.